Will the Alberta leaders’ debate be a campaign-changing event, as in 2015? The televised leaders’ debate was seen as a turning point in the 2015 Alberta election, and on Thursday evening, voters will get their chance to evaluate the current crop of party leaders. United Conservative Party Leader Jason Kenney, NDP Leader Rachel Notley, Alberta Liberal Party Leader David Khan and Alberta Party Leader Stephen Mandel will debate live in Edmonton starting at 5:30 p.m. MT (7:30 p.m. ET). The 90-minute debate will be broadcast on CBC TV, Radio One and online, followed by 30 minutes of additional coverage with CBC Calgary News host Rob Brown. The debate is being presented by a media consortium that includes CBC, CTV, Postmedia and Rogers. Debates can sometimes be landmark moments in election campaigns. Notley’s performance in the televised debate on April 23, 2015, appeared to turn the polls in her favour. A Mainstreet Research poll released that day showed Notley’s NDP with 31 per cent of support, one point behind the Wildrose Party led by Brian Jean, and five points ahead of Jim Prentice’s Progressive Conservatives. The first poll released after the debate showed the NDP at 38 per cent, up seven points, while the Wildrose had dropped 11 points and the Tories two points. From then on, the NDP consistently led in every poll until the May election. After the debate, Prentice was accused of sexism and “mansplaining” for telling Notley, “I know that math is difficult,” while discussing the NDP’s proposal to raise the corporate tax from 10 to 12 per cent. On May 5, Albertans elected an NDP majority government, ending the PCs’ 44-year hold on power. 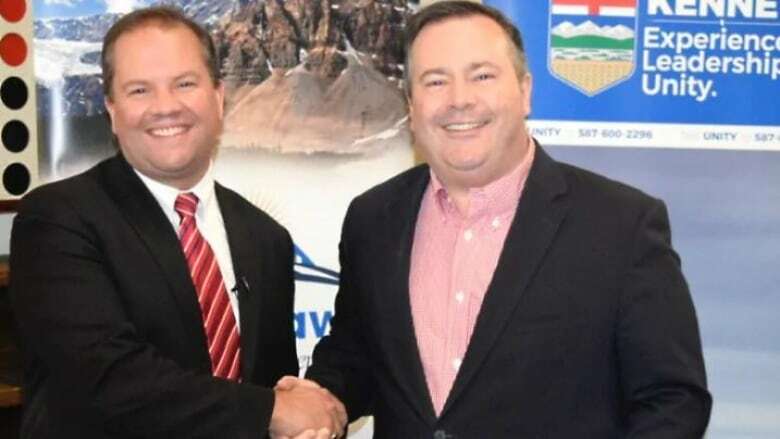 The United Conservative Party (UCP) is currently ahead in the polls, but Kenney heads into the debate facing multiple controversies. They include: his refusal to drop Mark Smith as the party’s candidate in Drayton Valley-Devon after homophobic remarks from six years ago came to light; RCMP investigations into the 2017 UCP leadership race; and questions about Kenney’s role in the Jeff Callaway “kamikaze” leadership campaign to discredit fellow candidate Brian Jean. The UCP has also faced some backlash over a proposal to roll back rules for banked overtime, which the NDP changed in 2017. Kenney, for his part, has focused his campaign on pipelines, the economy and jobs. He is expected to hammer Notley on her “alliance” with Prime Minister Justin Trudeau, which Kenney has repeatedly insisted has failed to get a pipeline built to tidewater, and on the NDP’s economic record, which he said has killed jobs in Alberta. The election has so far played out as a battle between Notley and Kenney, and their respective parties. Alberta Party Leader Stephen Mandel and Liberal Leader David Khan will likely welcome the opportunity to get some exposure to potential voters.